A team of dedicated and passionate professionals are behind our mission to tackle food waste in the hospitality and foodservice sector. Since 2013, we have been working with hundreds of chefs to manage and reduce food waste in busy kitchens. Through our journey, we have learned some valuable lessons to help you optimise your kitchen`s workflow saving you time and resources. How did you end up at Winnow working as APAC Operations Manager? My background has always been within operations and technology, but I have been hopping around through different industries. I started with customers support, then went to recruiting to build my communications skills, and managed sustainability projects for Marina Bay Sands. In 2014 I joined a startup because I believe it is the type of business where most potential can be explored. 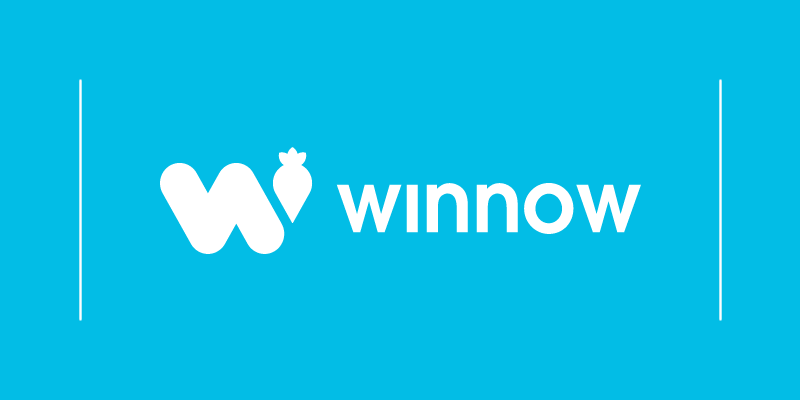 I first heard about Winnow when I was working remotely between Dubai and Singapore. I was ready for a change, I really wanted to work for a startup that was making a tangible difference, and I was thrilled with the opportunity of working in my native country, China. Two weeks after I had started working for Winnow I was already in China helping kick off the operation with Compass China. At Winnow operations, we have the opportunity to work with so many different people, from different backgrounds, and coming from all over the world. It’s always interesting, and the work never gets boring. The best part of my job is being able to build a relationship with all these people. Changing people's mentality is normally the greatest challenge for operators. At Winnow it is not different. A big part of our solution involves changing people's behaviour, and that can be very challenging. In China, for example, we love food, we enjoy sharing food, and we grew up seeing people piling up their plates in the buffets to end up wasting almost half of it. It is like if we’ve had a wasting habit embedded within our culture. So, educating individuals about the issues that come with waste is not always easy. What was the biggest challenge you faced when you first started the operation in the Chinese market? How did you overcome it? The biggest challenge we faced, and still face at Winnow China is finding the right talent. Everybody in our team has a passion for food, but we also need people who are fluent in English and have experience with the Chinese market to understand the local customs. Hospitality businesses normally have an international staff, and it goes the same way in China. We work with many foreigners, all the way from the management team to the kitchen staff. In addition to the language spoken, the educational level tends to vary dramatically as well. So, our challenge is to find talents who can communicate effectively, both in English and Chinese. It is estimated that a total of 18 million tons of food gets wasted every year in China. How is China moving to tackle the issue? I believe China has a long way to go until it can really tackle the issue. There has been some government support with the Operation Empty Plate, but there are no regulations in place aiming to reduce the country’s food waste. But, I can see that both the local population and hospitality sector are increasingly becoming more conscious of the issue. Do you see food waste as a growing trend in the Chinese hospitality industry? What initiatives have you seen? The industry has become more aware of the importance of controlling the problem, and Winnow is a big part of that. All the sites we are working with in Asia have seen a significant drop in food waste and food cost, and a lot of them have implemented changes to encourage their guests to waste less food. We have seen initiatives such as offering smaller bowls, or heavier plates to trick guests to believe that their plates are full. Some of the brands are even offering discounts to guests who leave less than 100g of food in their plates. It is a tricky situation. Hotels want to contribute to reducing the problem whilst keeping their guests happy. Any initiative is already a positive improvement and we are looking forward to seeing it become more and more popular. What is your piece of advice to operations directors looking to reduce food waste? Operators who are looking to reduce food waste, need to have a clear understanding of how their operations are functioning before they start to implement any changes. 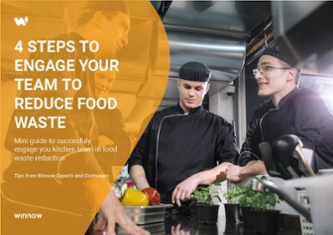 A food waste strategy will only be successful if the team is engaged, if the chef is able to influence his staff, and if the senior managers are aware of the benefits. All of these factors will influence the success of the strategy.